With the holidays quickly approaching and that secret gift hiding spot just aching for all the beautifully wrapped boxes, I thought a Holiday Gift Guide would be a great starting point. I curated this gift guide carefully with the wanderlusting traveler in mind. These picks would be perfect for the traveling soul you’d like to cheer this holiday. 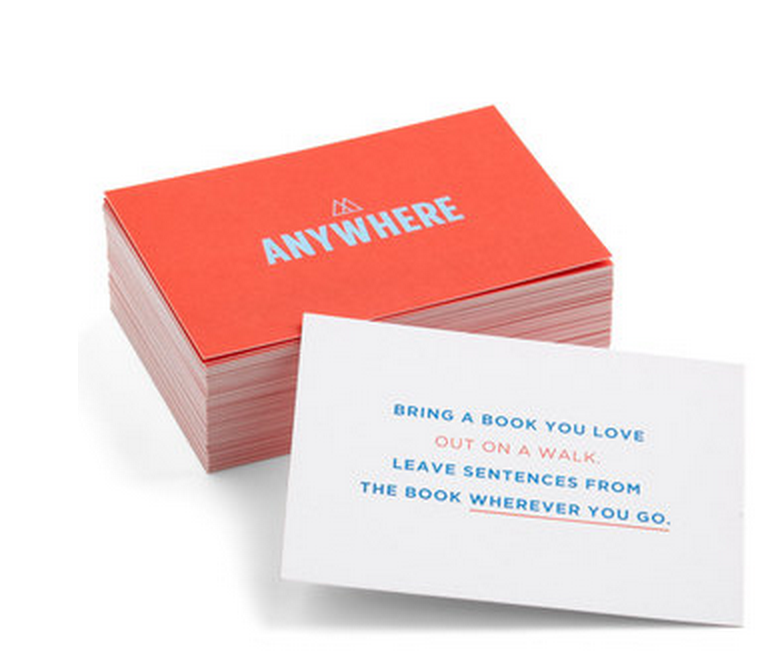 This 75 set of cards will inspire you anywhere! As someone who travels, the chance to step outside of the box & do something fun with these card is too good to pass up. This digital luggage scale will be much appreciated when the times comes to worry about checking bags. The last thing anyones wants are fees for a bag weighing too much. Paper clips are always needed; why not have fun with these adorable airplane shaped clips? They will make the perfect stocking stuffer for any traveler you have in mind. Save your loved one the hassle of having to wrestle for that lone outlet & instead gift this cute battery pack. What are friends for? Giving a pair of great headphones, of course. Headphones can be the ultimate gift this holiday; especially these Frends headphones which can easily be personalized with removable caps. A laptop bag can double as a purse when flying & keep all the precious things safe. This cookbook will allow your wanderluster to travel from their kitchen with recipes from around the world. Splurge a little for the version that comes with handpicked spices & give a gift that will keep on giving. Compression socks have long been known to help with circulation & keep legs comfortable on the long flights. They have never been known to be fashionable, until now that is. Item M6 has designed hosiery for all of those who need stylish solutions to real health concerns. 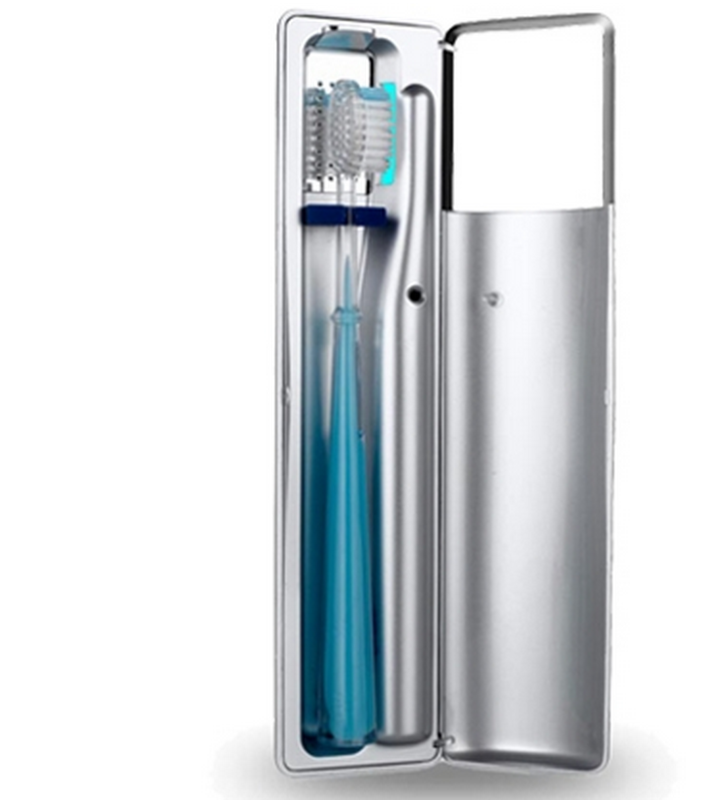 Have you, like me, ever gotten the nagging sense that your toothbrush just isn’t clean? Fear no more with this UV Sanitizer & don’t forget to gift one to your favorite traveler too. A Sleeper Scarf will be the gift they didn’t know they needed; it’s the perfect way to travel in style and discreet comfort. Once that plane takes off, your friend won’t be able to stop thanking you for the gift of sleep. Gift your beloved this great shaving kit bag for all his toiletries & make him smile with the secret message waiting at the bottom. Having a cocktail on the plane will be the ultimate way to feel for him to feel akin to Bond, James Bond that is, the next time he’s up in the air. This kit is TSA and cocktail-making ready for him to enjoy on the next flight.